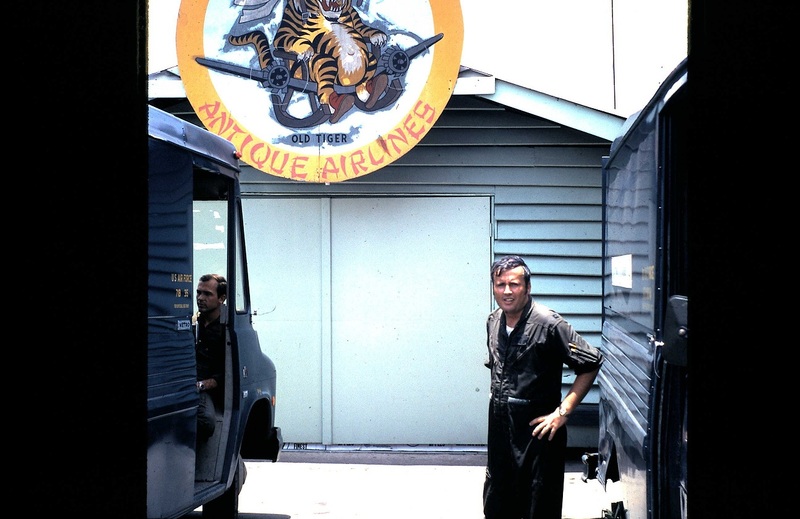 Alan H. Brown II shares some recollections of his tour as a pilot in the 360th TEWS. Thanks Al! 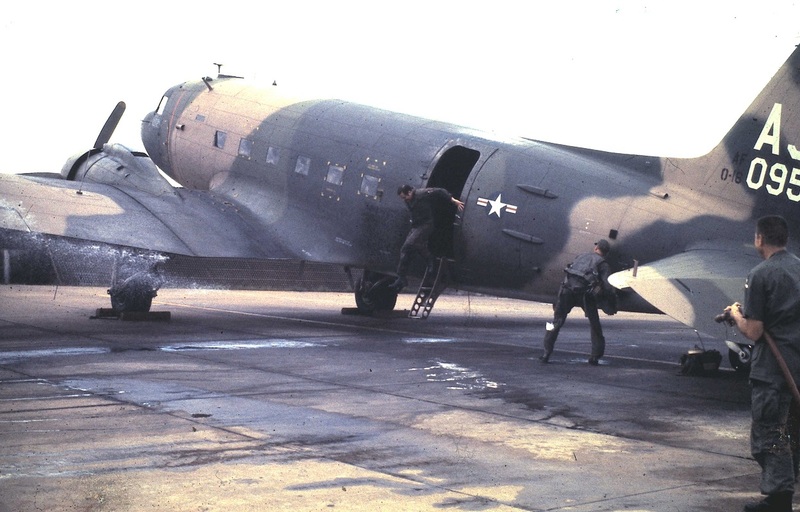 I am a pilot and in November, 1970, I was originally assigned to the 9th Special Operations Squadron flying HC-47's at Phang Rang. 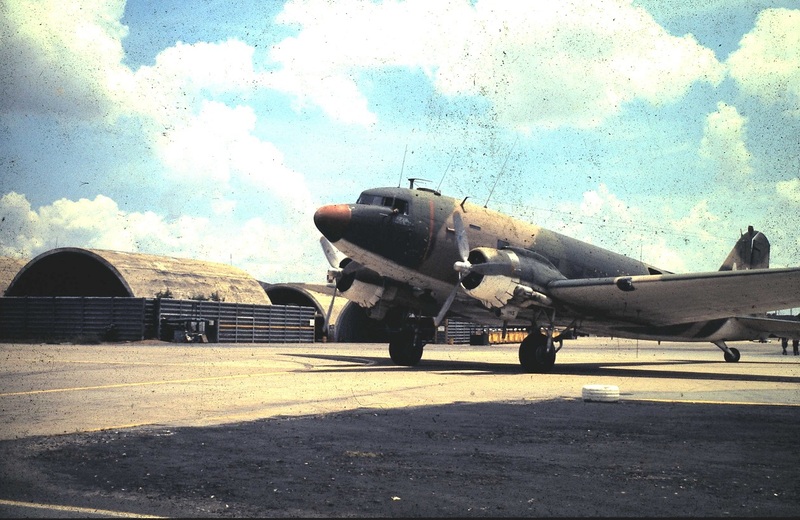 They had too many pilots so I was transferred to the EC-47 with the 360th TEWS at Tan Son Nhut. Actually there were two of us being reassigned. Personnel had one assignment to Da Nang and one to Saigon. I spoke first and got Saigon. I had no desire to go to "Rocket City". I came from SAC where I was a co-pilot on the KC-135's at K.I. Sawyer AFB, MI. 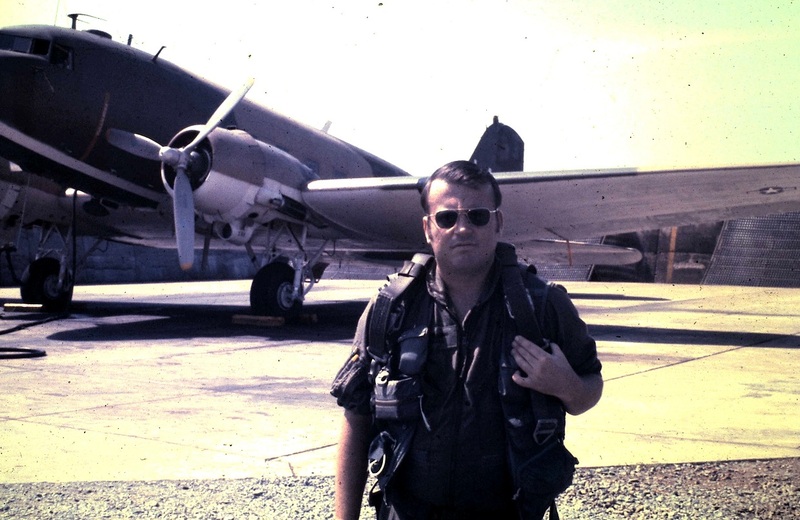 I flew approximately 125-145 missions over all the normal places (RVN, Cambodia, and Laos). I did the aircraft maintenance ferries to NKP twice, an aircraft IRAN delivery and pickup at CCK, with the associated R & R to Taipei (Taiwan). It sure was nice flying a "new" EC-47 back. I remember seeing the workers climbing all over the plane we brought in and seeing some flour and coal dust coming out. That was residue from when those planes flew in the Berlin airlift. I remember talking with my dad who flew C-47's in the airlift and he remembered some of the tail numbers. It was something flying aircraft that were older that I was. I remember spending many late afternoons playing "jungle rules" volleyball by our BOQ, then it was "Happy Hour" until the ice ran out. I think we had more injuries from volleyball than anything else. Like most of the other guys, I had the small refrigerator and all the latest stereo equipment and tape deck. Spent many an hour dubbing tapes at the tape center. I still have the TEAC 4010 recorder and lots of tapes. Needless to say they just collect dust now. Many of the young guys (lieutenants and captains) were planning on getting out and going to fly with the airlines. I was 32, which was too old, so I stayed in the Air Force. I spent the latter part of my tour with the 360th as an instructor pilot primarily checking out the new guys and upgrading guys to aircraft commander. The night of my finish party they had a "rocket attack" at Tan Son Nhut but some of us were totally unaware of it until we wondered where all the people went. I remember the most nervous time of my whole tour was when I was at the passenger terminal waiting for our go home flight to arrive; get on it, and depart the airport. After the 360th my next assignment was to KC-135Q model tankers at Beale AFB, CA refueling the SR-71s. I retired from the Air Force in 1987. After that, I was a pilot with a major airline until 2004 when I retired again. For everyone associated with EC-47 operations there were long hours, hot days, rain, and a lot of work. During my tour, I was very fortunate to be associated with a lot of great guys. If it were not for the war and family separation, it would have been a great assignment. The photos below show Al at the time of his fini flight. Click on the images to enlarge. Aircraft 43-16095 was an EC-47N, "Z" configured.